Jewelry pieces could be customized when given as gifts to someone special. These days, it is easy to buy precious jewelry that may be engraved with unique messages. Phrases, names, numbers and even small graphics can be easily imprinted onto real jewelry pieces that are made of sterling silver, gold and other precious metals. Customized messages are usually written on gifts that are given for special occasions. For an anniversary, phrases such as "Happy 25th Anniversary" could be imprinted on specific pieces such as pendants. For a mother's day gift, a necklace or bracelet could be engraved with phrases such as "I Love You Mom." 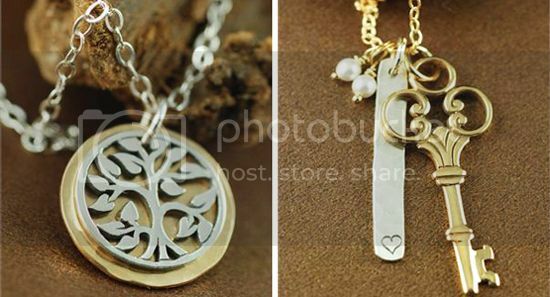 Washer style pendants and necklaces are easily customized with stamping that is done with precise laser technology. The words and letters are accurately cut out and then special metal or resin material is used to fill in the outlines. In general, there is a character limit on the custom message that could be written on engraved jewelry pieces. Key chains and fobs can also be customized just like unique jewelry pieces. Special messages could be engraved onto key chains that people carry with them all of the time. Of course, key chains come with much lower price tags than authentic jewelry made of precious metals such as gold and sterling silver. Pet lovers could receive custom pendants or necklaces that have unique cutouts of dog or cat paws. In fact, some ID tags for canine and feline pets could also be customized with unique engravings.